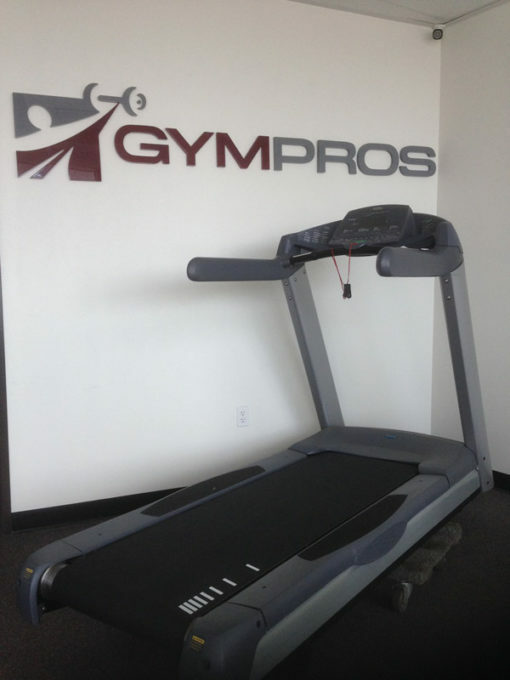 Home / Shop / Brands / Precor / Precor C966i Commercial Treadmill. Call Now For Lowest Pricing Guaranteed! 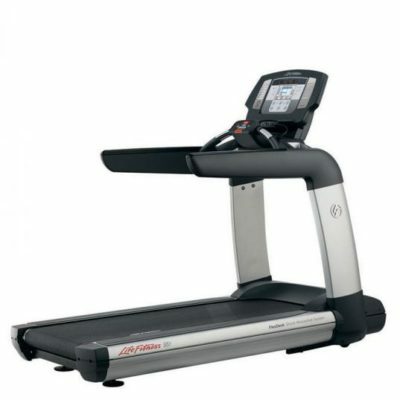 Precor C966i treadmill is ideal for a newbie and for the professional trainer, as it provides 21 workout options. The deck is equipped with Impact Control system and Ground Effects technology that provides better shock absorption, and more natural and balanced running experience. The reversible deck is made from special Slikdeck material that is very sturdy and does not need lubrication. 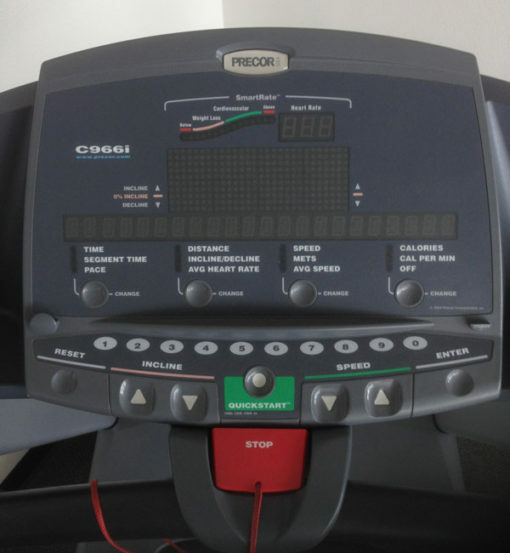 The treadmill provide touch sensors and Polar telemetry for monitoring heart rate, and the console provides a huge range of readouts including heart rate, speed, distance, METS, user profile, elapsed time and much more. 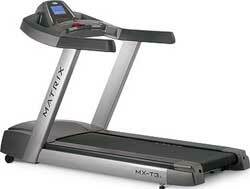 All three models have the same 4 HP motor but their maximum speed and maximum capacity of user weight differ. The 956i has a maximum speed of 16 mph, which is same as C966i, whereas 954I has 12 mph as its highest speed. Maximum weight of the user can be 500 lbs in the 954I, whereas 956i can take only 350 lbs, and the C966i withstands 400 lbs. The range of workout programs available in the Precor 954I is only seven, whereas Precor 956i has 26 programs compared to 21 programs available in the C966i. 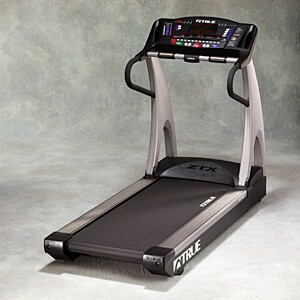 The C966i model also has -3% incline, whereas for the other two models the incline range starts from zero.